As Harry nears the end of his eleventh life, a little girl appears at his bedside. "I nearly missed you, Doctor August," she says. "I need to send a message. It has come down from child to adult, passed back through generations from a thousand years forward in time. The world is ending, and we cannot prevent it. So now it's up to you." Many of us spend our days denying death, yes, but whether it is conscious knowledge or not, the inescapable fact that the worst will occur factors into our every decision. The paths we take, the choices we make—all are dictated by the finiteness of our futures. With just one life to live, our achievements are all the more meaningful. With no guarantee, really, that there's more than this, our mistakes have to matter. But what if they didn't? What if death were not the end? What if there were... exceptions? According to North, they're called "kalachakra," or "ouroborans," (p.41) and Harry August—whose first fifteen lives this dense text documents—is one of an exclusive few: an immortal among us, blessed—or cursed, depending on your perspective—to be born again... and again... and again. "One of those wry footnotes academics put at the bottom of a text to liven up a particularly dull passage, a kind of 'incidentally, some say this and isn't that quaint' fairy tale shoved into the small print at the back of an unread tome." "And what does this small print say?" Harry has lived his life several times—dying a natural death in the first and choosing suicide in the second—before he comes across said society. "Like the Illuminati without the glamour, or the Masons without the cufflinks," (p.39) the Cronus Club provides for him in later lives, seeing to it that he can continue his existence, which spans the twentieth century, with next to no disruption. All the management asks in return is that he contribute what he can to their cause—while keeping it secret, of course—and refrain from doing anything especially terrible to disrupt the timeline. Too soon, sadly, Harry's repetitious existence is of precious little significance. He has studied every subject he has an interest in, and learned every language; he has fought in the war and single-handedly stopped a serial killer; he has loved—and lo, he has lost. 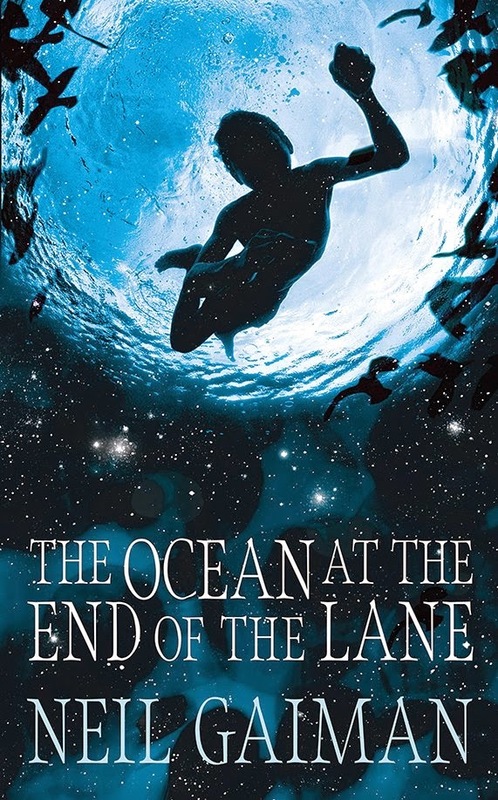 The long and short of all this is that Harry has endured many essentially senseless centuries when at the end of his eleventh life a little girl tells him on his deathbed that the world is ending. "As it always must," he trusts. "But the end of the world is getting faster," (p.2) cautions his fellow ouroboran. And that simply can't happen. Harry, however, isn't convinced, so he sets about investigating the cause of this possible apocalypse—becoming entangled in the endeavours of a former colleague in the process—all the while unaware that his actions may be a part of the paradoxical problem. 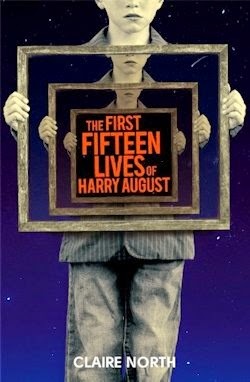 That The First Fifteen Lives of Harry August has a whole lot of plot is unsurprising, per its premise—which feels fresh and exciting despite its likeness to last year's Life After Life—but as if to complicate matters more, North's ambitious narrative is also non-linear for the larger part. Though the last act plays out almost chronologically, the author evidences little interest in order otherwise. The ground beneath our feet is fleeting, clearly. Take heart, however, for there is method to the narrative's apparent madness—its seemingly schizophrenic structure serves a pivotal purpose—and in the interim, there's so much going on that The First Fifteen Lives of Harry August is a hard book to put down at any point. As a protagonist, Harry is perfectly passable, if not necessarily remarkable. As a sometime lover of said says, he's "obliging," but quite frankly "blank." (p.262) Only in his encounters with the narrative's chilling antagonist does Harry actually catch fire. Even then, the former makes for a markedly more interesting character. I'll name no names, except to say that this individual is a friend of Harry's rather than an enemy. Someone who goes off the deep end eventually, yes, but is first and foremost a kindred spirit—a fellow time traveller affected by the same sense of ennui that comes to constrain our narrator. The push and pull between the pair is potent from the moment they meet, nevertheless North develops her central characters so well that when they come together again, perhaps halfway through the book, they feel like completely different people. Only their adversarial relationship remains recognisable—and it is this which becomes the focus of the whole. How and why the separate ways they went left them on different sides of the divide is a crucial question that North never answers outright, but know that the pieces of the puzzle are present. All you have to do is arrange them in the right way. While we're asking questions, another occurs: who in the name of all that's awesome could Claire North be? 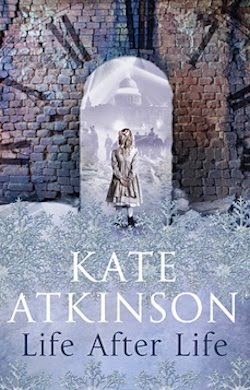 "A pseudonym for an acclaimed British author who has previously published several novels. This book is completely different from any of them," teases her baffling minibio... which doesn't give us a great deal to go on. 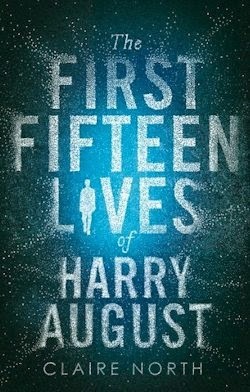 The First Fifteen Lives of Harry August is Gaiman-esque, I guess. It has that elegance. That intelligence. But your guess is as good as mine. I'll be curious to see who Claire North turns out to be, but I'm glad I went into the read with her being an unknown. I snagged the ARC on a whim, and wasn't sure I'd ever make time for it. When I sat down on a Sunday afternoon to give it a chance, however, I was halfway through before I even realized it. 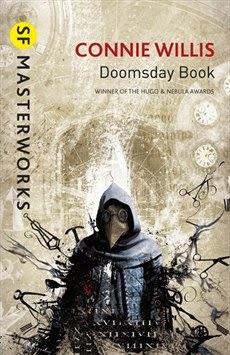 A great story, well-told, with some nice mythology and a fantastic approach to time travel paradoxes. Have you read Ken Grimwood's Replay? If so, how does this (and Life After Life) compare?